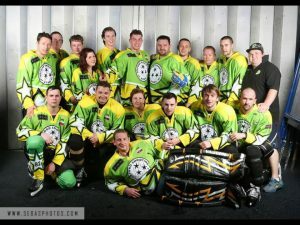 The club was founded in 2010 by ice hockey enthusiasts keen to create a beginner-friendly environment which would attract new participants into the sport. Despite many experienced players now being members of the club, players new to the sport, and of any ability, are continually joining. The club played its first game on Saturday 11 December 2010 (against Slough Scorpions) and had its first win on Saturday 15 January 2011 (against Swindon Rec Wildcats). The club joined the newly formed SHL cup in the summer of 2012. In 2013 they were invited to join the Southern Conference League.